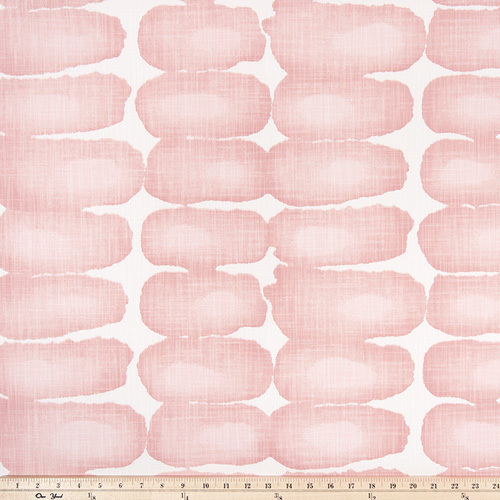 Premier Prints Shibori Dot Blush Slub Canvas. Large irregular oval dots in a peachy pink on a white background. Medium weight fabric suitable for drapery, decorative pillow covers, headboards, handbags or light upholstery.